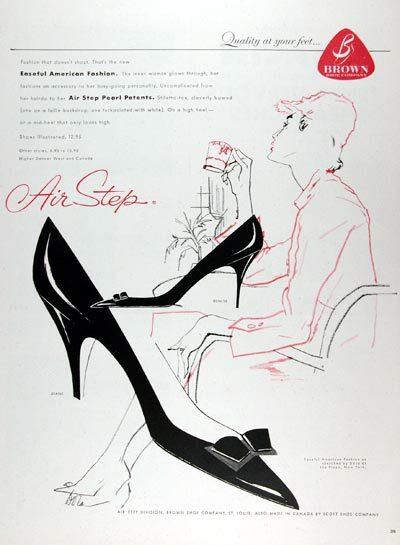 1958 Brown Air Step Shoes original vintage advertisement. Quality at your feet. Featuring the Diane and Denise styles, $12.95. Fashion that doesn't shout. That's the new Easeful American Fashion.